Many of us are still trying to get our skin back into tip top condition from the excess of Christmas and New Year. Not only were many of us busy rushing around, partying, possibly drinking more alcohol, eating richer foods and staying up late, but also the cold, cold weather of January hasn’t really given us any respite. Cleansing, toning, serum and moisturising are all essential within our daily skincare routine. Each component plays a really important part. You will always hear me say that great skin begins with a great cleanser and that is so true. If your cleanser is just pushing your make up, dirt and grime all over your face, then all your other products are pointless as they cannot penetrate into the skin where needed. If your cleanser does not offer you any hydration and just stripes your skin, then you really have to consider changing it. 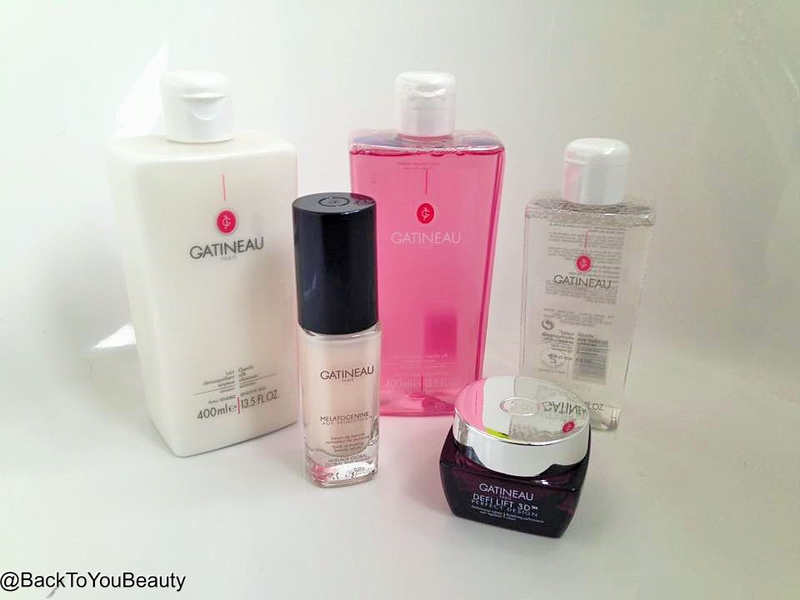 I will be posting about the many different types of cleanser at a later date but for now let me tell you about everything included in this salon sized, outstanding value kit from Gatineau. Gatineau really are true experts in their field. 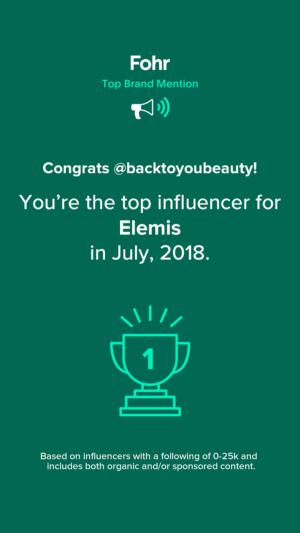 This professional brand is world renowned for its anti-ageing skincare and this daily use collection can really transform, dull, tired, ageing, slackening lifeless skin. To find out more about the brand please read my previous post HERE. Gentle Eye Make Up Remover – NEW 200ml – Introducing the brand new eye make up remover from Gatineau that I am positive you will love. I know there are soooo many die hard Floracil fans out there, but I am so sure once you try this, you will absolutely love it just as much if not more. Containing extracts of Green Tea, Cucumber and Aloe Vera this remover is so cooling on the eyes. It feels like a water in that it leaves absolutely no residue or oiliness behind. It really makes the eyes clean and feel more awake. I have very,very sensitive eyes and suffer eye infections so I have to be incredibly careful which eye products I use. This is hypoallergenic, suitable for contact lense wearers and anyone with sensitive eyes. It lifts even the heaviest make as you will see in my photo, without any pulling or dragging and is incredibly kind to eyelashes. I love a Smokey eye but when its time to remove it, I want it all off with no tugging or pulling. 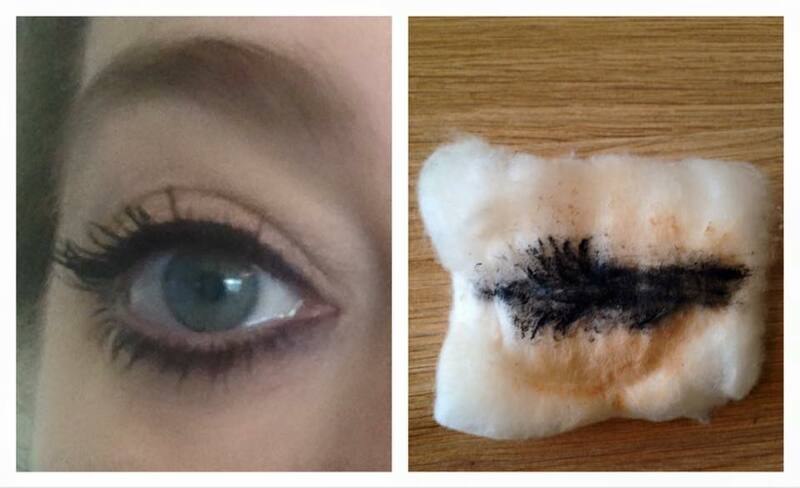 I place a few drops of the Gentle Eye Make up Remover onto a cotton pad and just place on my eyes for a few seconds. This honestly feels so beautiful like an eye compress treatment. Then I gently wipe away, taking the make up off with me. You may also be pleased to know that this removes waterproof mascara too. I always remove eye make up first before cleansing the rest of my face so that I am not rubbing any eye make up all over my skin. Even if you are not a make up wearer you will still love this as it is so refreshing, cooling, cleaning and calming on the eyes. If you have tired, puffy, gritty eyes, or sit in front of a computer, then I think you could benefit from using this product. Sit for a few minutes with this cooling compress on and drift away…… I am actually sitting here having just cleansed one eye first and cannot wait to rush off to do the other because one feels beautiful and cool and the other feels tired and sore. this has most definitely become my new best friend. Gentle Silk Cleanser – 400ml If you have delicate, sensitive, maybe thinning skin, this cleanser could be really good for you. It is such a mild and gentle cleanser that feels beautifully silky smoothe on the skin. A milky lotion in texture it actually feels more like a light moisturiser than a cleanser. Easy to manipulate and massage gently into the skin, you only need about a 20p sized amount to massage over your face and neck. It gently lifts make up and and impurities and leaves the skin feeling so soft. The scent and texture actually remind me a little of Elemis cream bath, it feels very luxurious. For me, this would be my cleanser on a light make up day or non make up day when a gentle cleanse would do. 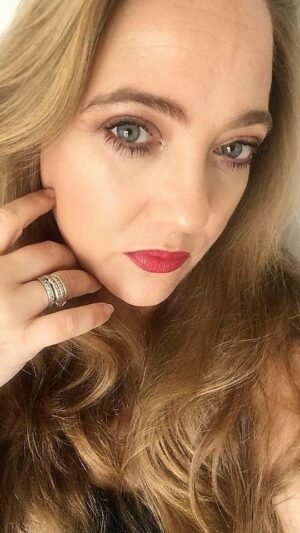 When I am wearing a full face make up,of longer wearing make up, I prefer an oil or balm. Gentle Silk Toner – 400ml After cleansing it is very important to tone and rebalance the skin. This pretty pink toner is alcohol free and does not strip the skin at all. Containing silk extracts it is really soft and gentle on the face and neck and smells beautifully uplifting. It removes any last traces of cleanser and balances the skin, immediately after use my skin always looks brighter and hydrated and feels lovely and soft. 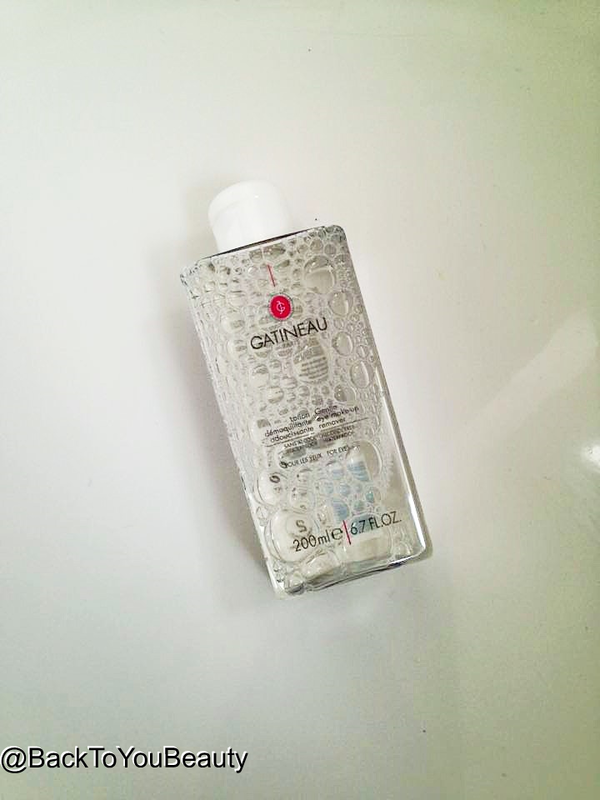 I have quite dry skin but do not feel any dryness after using this Toner which I can do after using some others. Don’t forget, to make your toner go further, you can always add a few drops to a dampened cotton pad. I really recommend this and am currently using it all the time. Melatogenine AOX Probiotics Youth Activating Beauty Serum 30ml – Containing the worldwide best selling Melatogenine, this is a power house of an anti-ageing serum. This is where it gets clever, as this collection offers you a choice of moisturiser, you can easily choose a lifting, firming moisturiser, whilst knowing that you are getting a dose of Anti-ageing delivery in this serum. 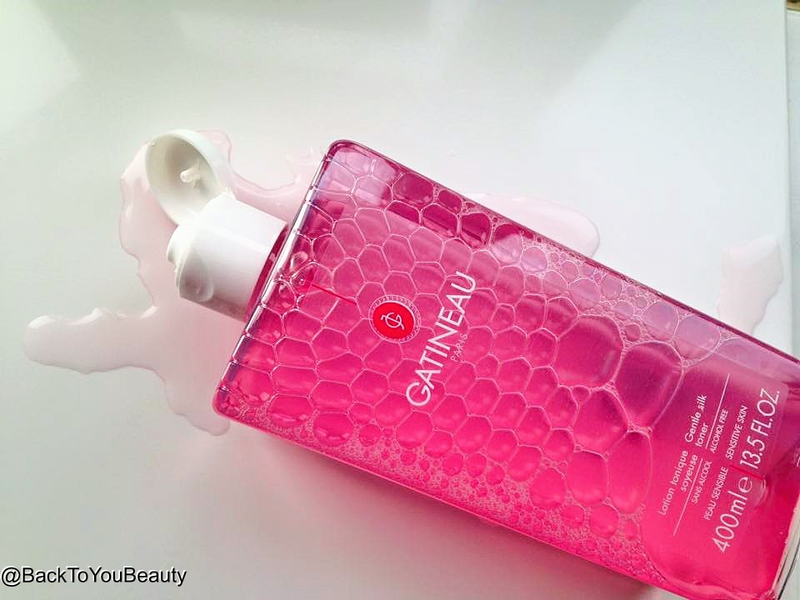 This beautiful bottle delivers the perfect amount of serum from its pump, just make sure you prime it for a while to release the Serum. A very delicate fragrance, this is a beautiful cooling, light serum, that really is a pleasure to use. Great for fine lines, wrinkles and ageing issues on the skin as it softens fine lines and enhances skins elasticity. I apply this morning and evening to cleansed skin, not around the eyes, before moisturising. 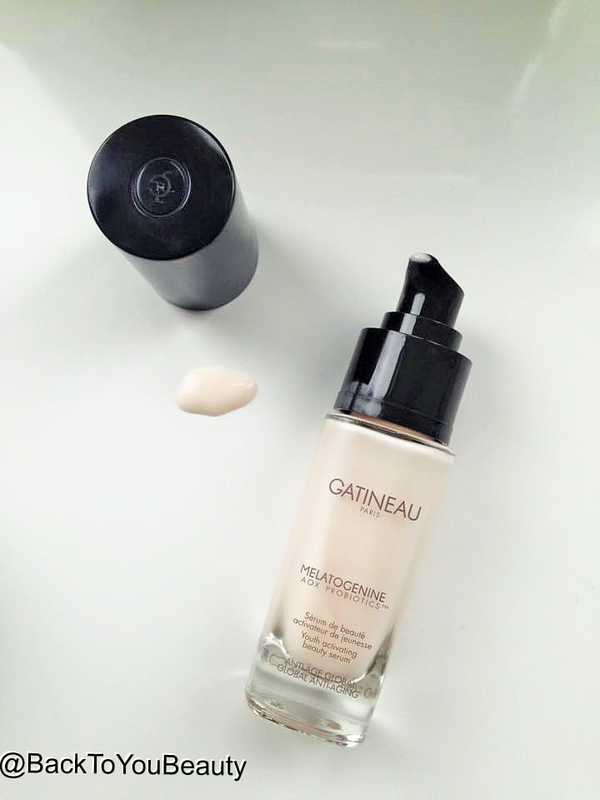 Works fabulous with the Melatogenine moisturiser for better results. One of my favourite serums. 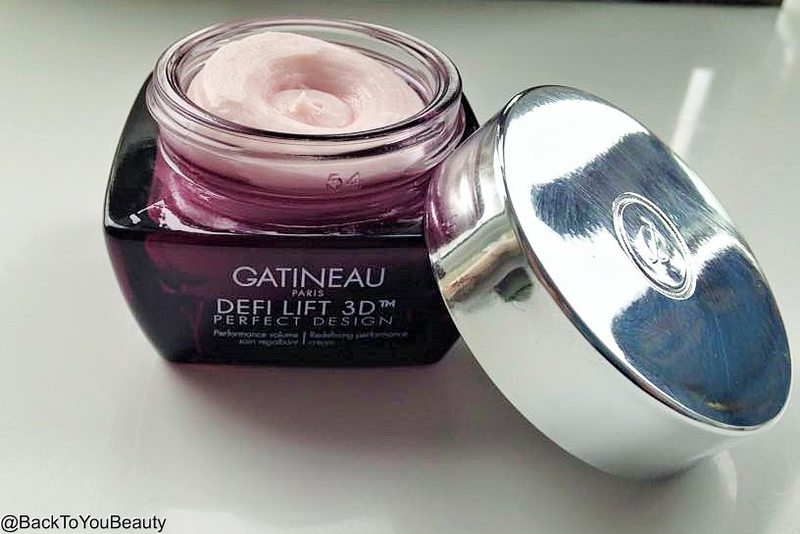 Defi lift 3D Perfect Design Performance Volume Cream – 30ml If you are wanting a lifted, plumper looking complexion, then this product is perfect choice of moisturiser for exactly that. The Defi lift range enhances volume whilst lifting and firming the skin which leads to a more youthful appearance. 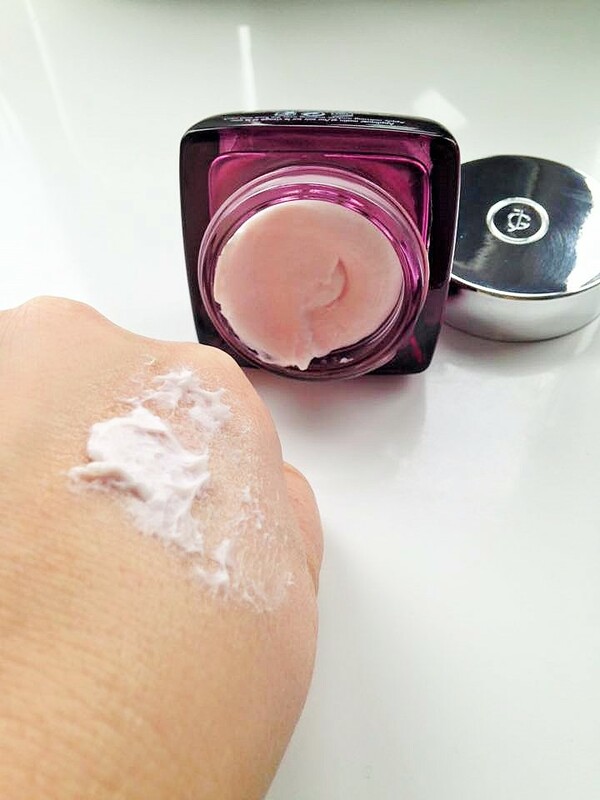 Full of butters, vitamins and botanical oils this cream really packs a punch. If you are really concerned with slackening skin or droopy jowls and want a lifted appearance, this would be the choice of moisturiser for you to try. 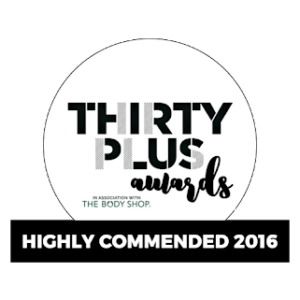 The beautiful pink cream is a joy to use i absolutely love the feel of this on my skin. The cooling, light ,spongy type texture is easily absorbed and leaves my skin looking incredibly healthy. 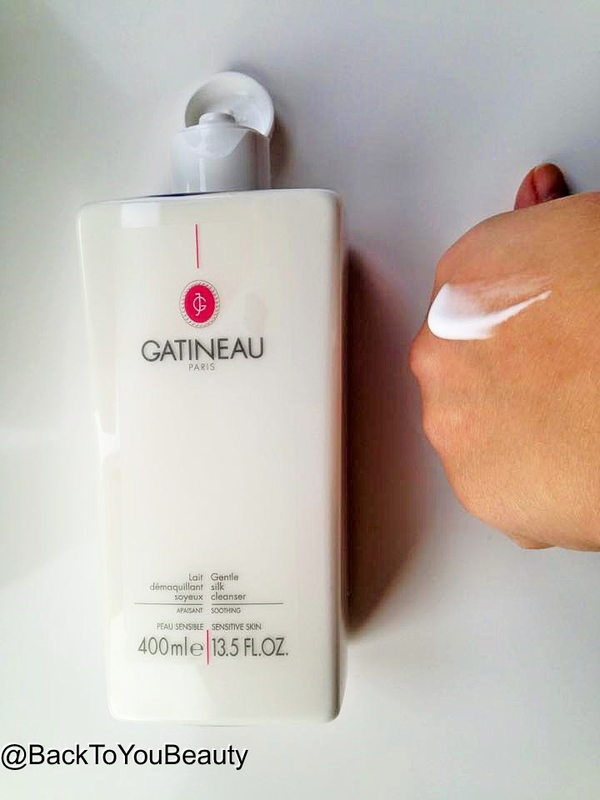 Apply to cleansed skin, after toning and serum morning and evening. 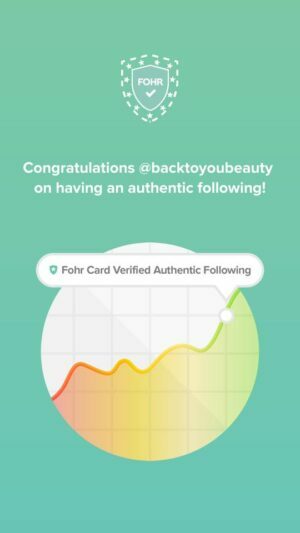 I would love to hear your feedback! Leave me a comment below. "NIOD – Innovative skincare that offers exceptional results… Here is why i am enjoying this brand!"